Edge Series Thor System - This state-of-the-art complete intelligent production mail finishing system was designed and manufactured to answer your toughest production mail challenges. The Thor System has the strength and ability to handle your everyday tasks and your production mail challenges. Edge Series 9800/9800L High Speed Inserting Systems - This rugged workhorse of the mailing industry is universally known as the best production value for the busy mail center and/or office environment. Engineered for reliable and long lasting service, the 9800, receiving periodic enhancements, has been in production for over 30 years. It will automatically collate, stuff, seal and stack envelopes or pass them through an inline postage meter to yield a finished mailing ready for bundling. Edge II Series 9800/9800L High Speed Inserting Systems - This rugged workhorse of the mailing industry is universally known as the best production value for the busy mail center and/or office environment. Engineered for reliable and long lasting service, the 9800, receiving periodic enhancements, has been in production for over 30 years. It will automatically collate, stuff, seal and stack envelopes or pass them through an inline postage meter to yield a finished mailing ready for bundling. 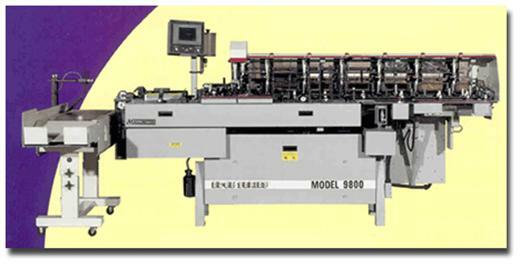 Edge Series 1200/1200X High Speed Inserting Systems - This state of the art inserting machine has earned the reputation as the best large envelope equipment in the mailing industry. 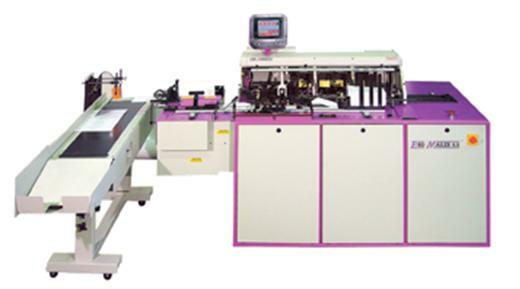 The 1200/1200X handles envelopes from 4 by 7.5 inches up to 10" by 14", making it the most flexible inserter in the marketplace. Designed for reliable and long lasting service, the 1200/1200X, receiving periodic enhancements, has been in production for over 30 years. It will automatically collate, stuff, seal and stack finished envelopes. Edge II Series 1200/1200X High Speed Inserting Systems - This rugged workhorse of the mailing industry is universally known as the best production value for the busy mail center and/or office environment. Engineered for reliable and long lasting service, the 1200, receiving periodic enhancements, has been in production for over 30 years. It will automatically collate, stuff, seal and stack envelopes or pass them through an inline postage meter to yield a finished mailing ready for bundling. Pro Mailer 6.0 Inserting Systems - Introducing new line of gripper-arm style 2 and 4 station office environment inserters specially developed to offer simplicity, economy and top production quality to the lower volume market. This market segment traditionally the target of tabletop and low volume solution manufacturers now has an alternative.